Happy New Years Eve! I was going to share my favorite free motion quilting tips and what I've completed this year, but first I want to share some thanks. I have had an awesome 2013! I want to thank my wonderful husband Eric. He supports me, helps me, indulges me, cheers me on and, when needed, he's there to drag me forward. I feel like I've done some very beautiful work this year and it would have been impossible without him. I also want to thank my two awesome kids, Samantha & Eric. I see something quilty in their futures. The seemingly random fabrics, thread spools, project bags, finished tops waiting to be quilted, and quilts waiting for their binding are all in various nooks and crannies and sometimes they're right in the way. As with many quilting families, they help with all of it. Each of them has spent time carrying bolts of fabric, looking for some obscure notion or looking for just the right red fabric to bring the whole quilt together. They also protect all my things quilt related with a fervor most people and one cat find surprising. For all these things, I thank them. Coupled with who they are and all they do, I love them more & more each day and am thankful to have been blessed with an amazing family. 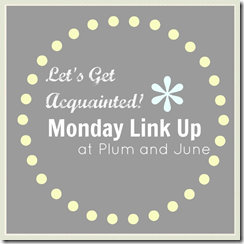 I had planned on sharing my favorite free motion quilting tips, but I don't want to short change any of the planned topics. 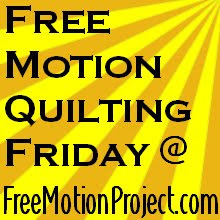 With that in mind, I'm moving my favorite free motion quilting tips to Friday. I wanted to include an accounting of my quilting for the year, but work took more time than I had expected today. I'll update this post with my list tomorrow, but here's the general idea. I do not measure success only by 100% finished quilts. My completed tops are just as important to me. When I think back to all of the responsibilities I have outside of quilting, I am impressed with myself. I am happy with what I've accomplished. I am looking forward to what I'll accomplish in 2014! Have a happy, safe & quilty new year!! !